I may be a heathy eater and cook, but I am still a Southern girl at heart, which means I LOVE Pimento Cheese. Unfortunately, the store bought brands sort of freak me out after reading the ingredient list. I was sure that I could come up with my own version. Most of the credit for this recipe goes to my dear mother, but we have both tweaked it over the years. For those of you that are just catching up, I am counting down my Top 30 favorites to celebrate my up coming, milestone birthday, the big 3-0! Pimento Cheese marks #25 on the countdown. I can't emphasize enough the importance of the cheese that you select for the Pimento Cheese recipe, like I do in the original post. 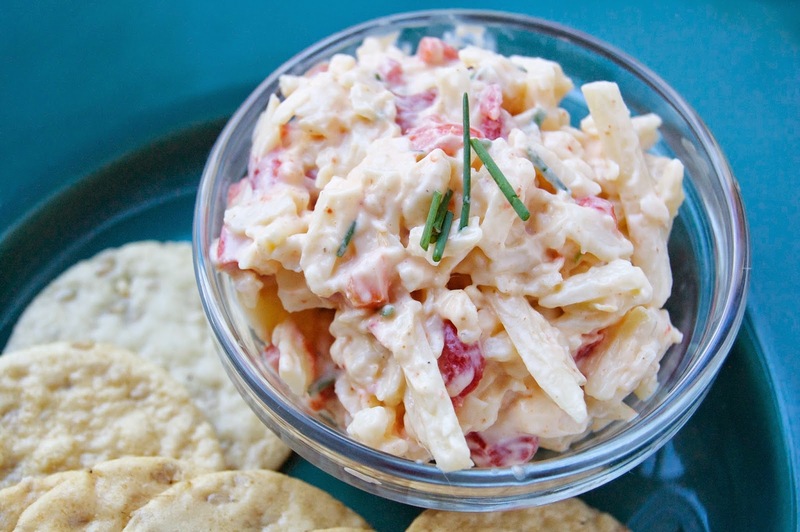 Quality cheese adds so much more flavor to the pimento cheese, instead of masking low-grade cheese with tons of mayo. The Hubby and many friends usually can't get enough of this and eat it by the spoonful. 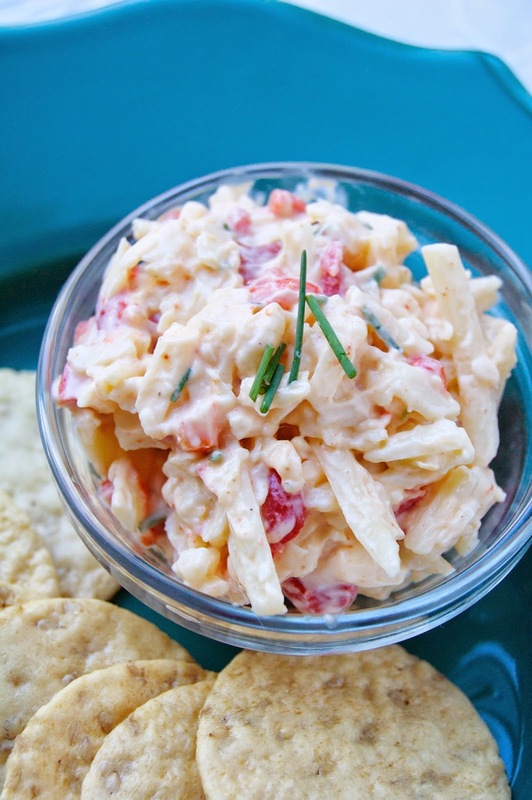 You can find the recipe for Pimento Cheese here.